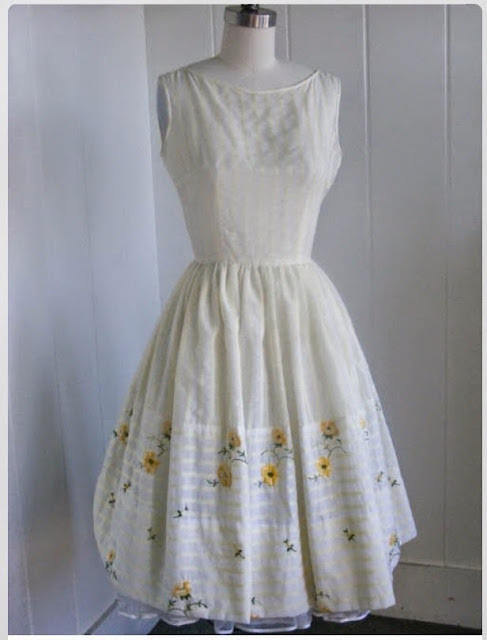 Daisies are such a FUN Flower! It is hard to not smile when you se them. Loving nature and integrating it with my love of crafting is so much fun... add in Fashion - whew - you have some of my top loves (well, besides my family and friends - lol). So this is my fun Fashion Friday hand-stamped and cool-fold card that incorporates this fun Bloom With Hope Hostess-Exclusive stamp set! With the New In-Colors this hand-stamped card is the very essence of stylish!! I love fashion! 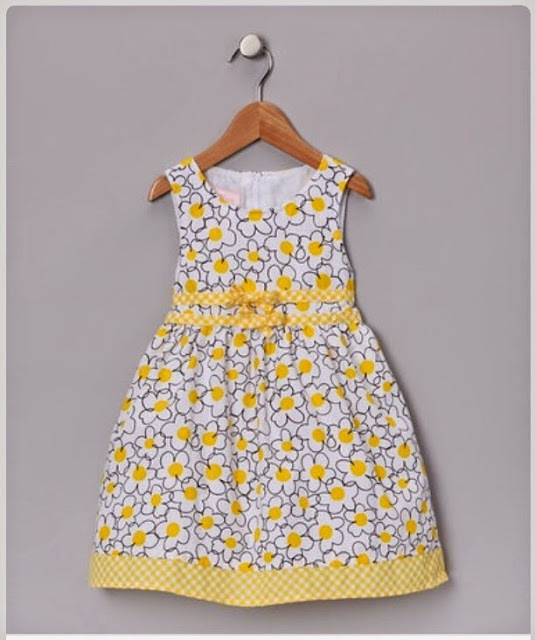 Here is a fun combination of fashion and fun daisies... it's a perfect Mom/Daughter combination. I love these dresses and how they coordinated without being 'too' matchy-matchy. Fashion is a fun place to find inspiration for your card making and crafting. Welcome to Fashion Friday, I hope that you enjoy it. This sweet card was highlighted in our recent Cards and Coffee class. Don't miss out on Upcoming Fun - RSVP ASAP. Start this card by laying the 12" Whisper White card stock on the Simply Scored Tool (a fabulous score board and stylus). Turn the paper and using the Stampin' Trimmer to cut a 12" piece of Whisper White card stock into 3x12" strips with four scored areas. Stamping these sections after folding and using the Bone Folder to crisp the edges. These Daisies from the Bloom with Hope stamp set using the Jet Black Stazon ink. 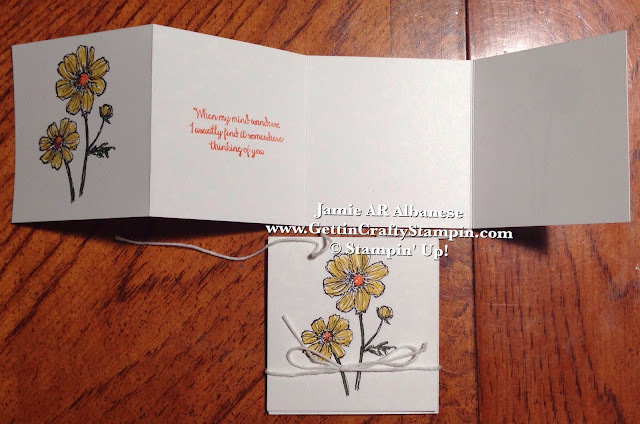 Color in the flower using the 2014-16 In-Color Stampin' Write Marker, Hello Honey with a Tangelo Twist center. I left areas of 'white/not-colored' for highlights. 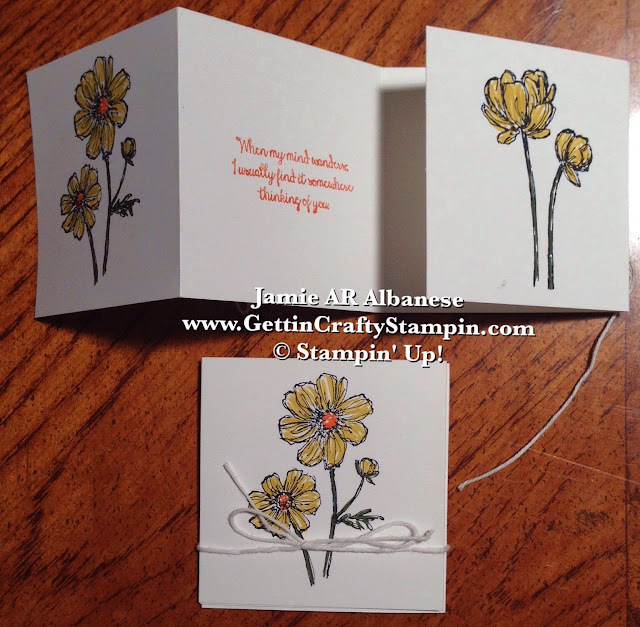 The Mossy Meadow Stampin' Write Marker makes for a pretty stem and leaf. 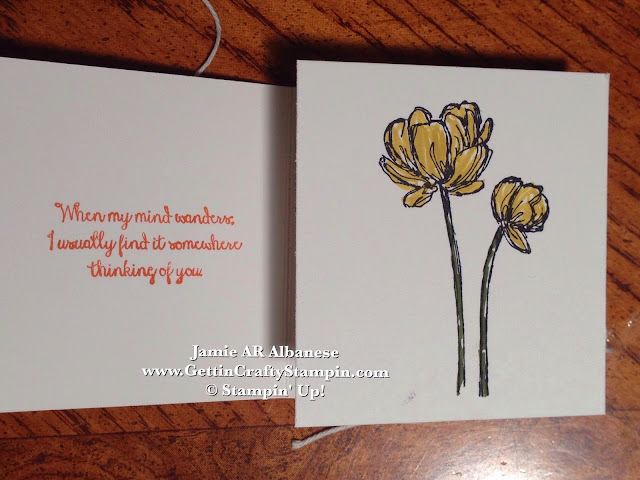 Using the Tangelo Twist Stampin' Write Marker to color the sentiment is easy. Here this folded in flap hides two areas perfect to write on - on the inside! 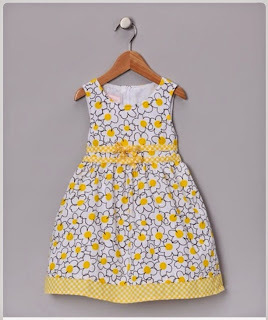 This stamped closed daisy is a pretty accent. 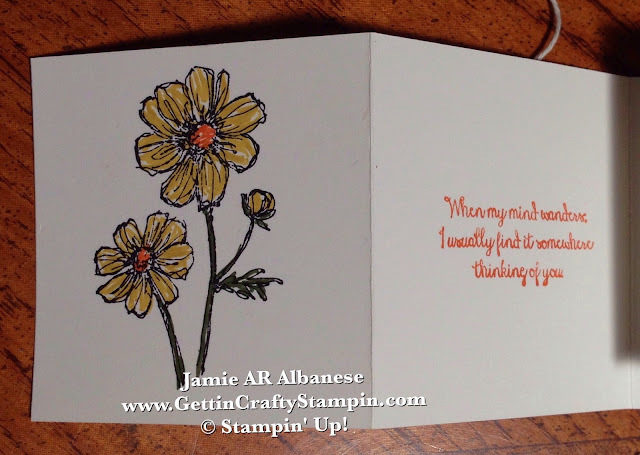 After your done stamping and coloring, add the Whisper White Baker's Twine to the back of the card. Tie it on and make a pretty bow. Move the ribbon up, slightly and apply a line of the liquid adhesive with the Multipurpose Liquid Adhesive. Roll the Baker's Twine down and over the fine line (this adhesive has two tips and one is fine - perfect for many projects). Set aside and let dry. Celebrate nature, crafting and fashion with this cute Fashion Friday hand-stamped card. Tie up the fun with this coordinated Baker's Twine. No matter where you get your inspiration (Fashion, Nature, Family, Life...) crafting and celebrating what you love is key to enjoying what you create. These new stamps (like the Bloom with Hope) and the new In-Colors is a fun way to stay cutting edge and fashionable with your creations. With a few folds, like pleats on the dress, to a pretty tied ribbon, like this Baker's Twine, have fun with what you do.